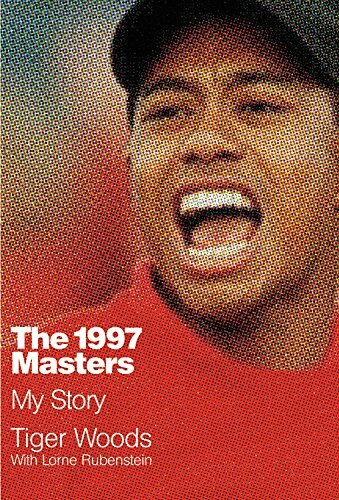 In 1997, Tiger Woods was already among the most-watched and closely examined athletes in history. But it wasn’t until the Masters Tournament that his career would definitively change forever. Woods, then only 21, won the Masters by a historic 12 shots, which remains the widest margin of victory in the tournament’s history, making it an iconic moment for him and sports. Now, 20 years later, Woods is ready to explore his history with the game, how it has changed over the years, and what it was like winning such an important event. With never-before-heard stories, this book will provide keen insight from one of the game’s all-time greats. Tiger Woods, now 40 years old, has had an unprecedented career since becoming a professional golfer in the late summer of 1996. He has won 105 tournaments, 79 of those on the PGA TOUR, including the 1997, 2001, 2002, and 2005 Masters Tournaments, 1999, 2000, 2006, and 2007 PGA Championships, 2000, 2002, and 2008 U.S. Open Championships, and 2000, 2005, and 2006 British Open Championships. With his second Masters victory in 2001, Tiger became the first ever to hold all four professional major championships at the same time. In winning the 2000 British Open at St. Andrews, Woods became the youngest to complete the career Grand Slam of professional major championships and only the fifth ever to do so. Tiger also was the youngest Masters champion ever, at the age of 21 years, three months and 14 days, and was the first African-American or individual of Asian heritage to win a major championship. Lorne Rubenstein has written 13 books while contributing to magazines around the world. He lives in Toronto, Ontario.